January 12, 2019 January 8, 2019 ~ Craig M.
I know Paul Murphy’s drumming through his work with saxophonists Jimmy Lyons and Glenn Spearman. I remember the aptly named Trio Hurricane, with Spearman, Murphy, and bassist William Parker bringing heavy thunder. 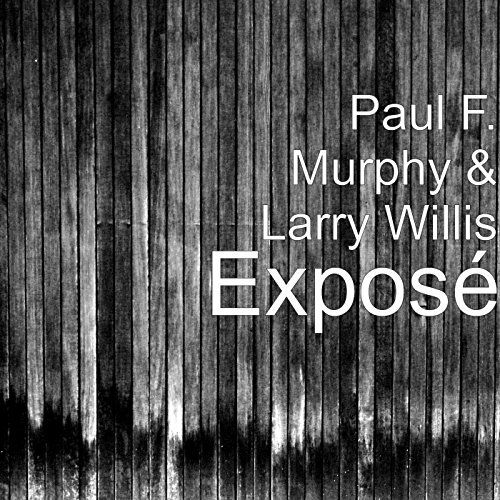 Exposé is now more than a decade old, but when it showed up on eMusic’s “recent additions” list, Murphy’s name caught my eye. I didn’t know what to expect from him in a duo setting, especially paired with a piano, although he’s apparently recorded with Larry Willis multiple times. Exposé presents powerhouse drumming from a subtler angle — lots of tapping cymbals and feathery tom rolls on the solo track “Labyrinth,” for example. Willis brings the crystalline sounds of jazzy piano, but in an edgier vein than cocktail music, with the right improvisational spirit to keep the session outward-facing. The title track starts slowly with what might be a nod to Cecil Taylor — not in terms of torrential playing but in the kinds of harmonies Taylor composed with. From there, Willis goes more lush and bright, weaving through jazz idioms while Murphy keeps up a continuous rustle, busy but not overwhelming. The phrase “Liquid Dance” makes for an excellent track title. Murphy keeps up a busy, almost relentless patter but at a low volume, while Willis applies the right restrained, contemplative splashing to fit the name. Some contemporary mainstream jazz leans in this direction. I’m thinking of labels like Origin Records — pleasing to the ear, but striving to create something new out of familiar cloth. This session wouldn’t be out of place there. Murphy fills space in a way that might be off-putting to some listeners, but I came here for the drums, so I’m happy to focus on the robust energy more than the relaxing moments.